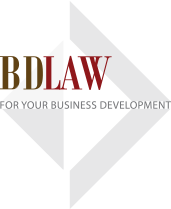 BDLaw is recognized as a market leader in project finance and banking, foreign investment and mergers & acquisitions, litigation, real estate transactions, tax and international trade. We have also represented and advised clients on matters in relation to securities, intellectual property, telecommunications, construction and labor. The firm's practice areas are listed below; however, the list is not inclusive as BDLaw is continuously developing new areas of expertise to meet clients' needs in Vietnam's ever-changing business environment. With the experience and the expertise of our professional staff and our national and international resources, BDLaw is able to respond effectively to the needs of our clients in Vietnam within the proposed timetable of the client's transaction.